Enhanced shopper experience transcends different sales channels and customer touch-points. Retailers today strive to extend a truly seamless and consistent experience to consumers, with convenience that includes having reward programs, Digital Passes and promotions. The convenience of retail, with which a customers’ shopping cart can be checked out using Mobile POS, can be a reason for a customer to come back and shop again. Mobile POS stands tall as a customer engagement device for retailers. The convenience with which a consumer can earn points via one channel and redeem them through another, is an important aspect of the enhanced shopper experience. Despite all technological advances and sophistication, most retailers still struggle to extend this seamless shopping experience to consumers. The Enhanced Shopper Experience is something that stays with a consumer, even when the consumer is neither in-store nor online. Personalised emails and notifications update customers on current offers, loyalty points, coupons, etc. to ensure that retailers get the customers’ ‘top of the mind’ retention. iVend Retail is a suite of applications that allows retailers to effectively extend an Enhanced Shopper Experience. 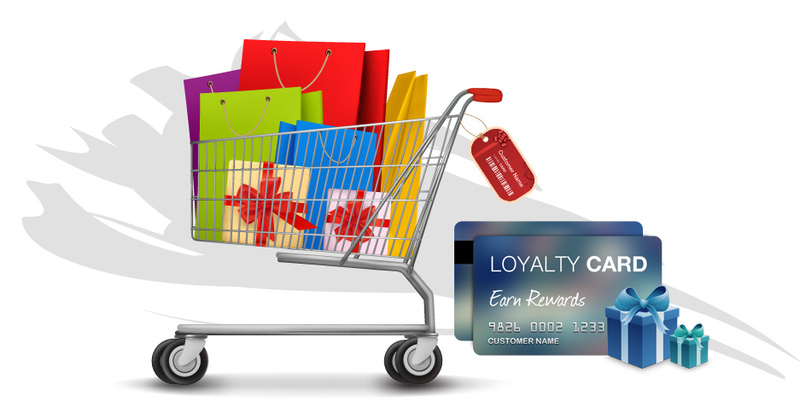 iVend Loyalty is a comprehensive point and rewards management application, which tracks the accumulation and redemption of consumers loyalty points across channels – in-store as well as online. Similarly, iVend Passes ensure that the retailer remains digitally connected with a consumer by instantly sending useful notifications to the consumers’ mobile device. With these, retailers have a significantly higher chance of retaining customers who have had an ‘Enhanced Shopper Experience’.